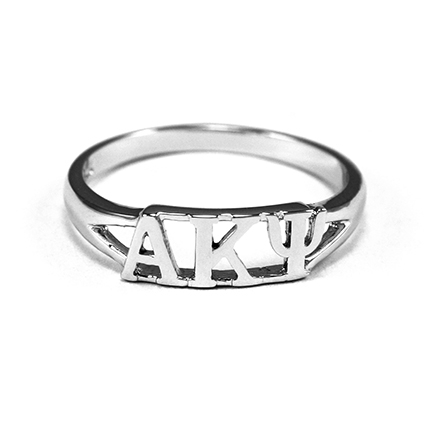 Celebrate your membership in AKPsi with this stunning sterling silver ring. This hand-crafted ring is polished to a dazzling shine. A perfect gift for your big or little, or even yourself! Gift box is included. Not sure of your ring size? Use this handy guide.